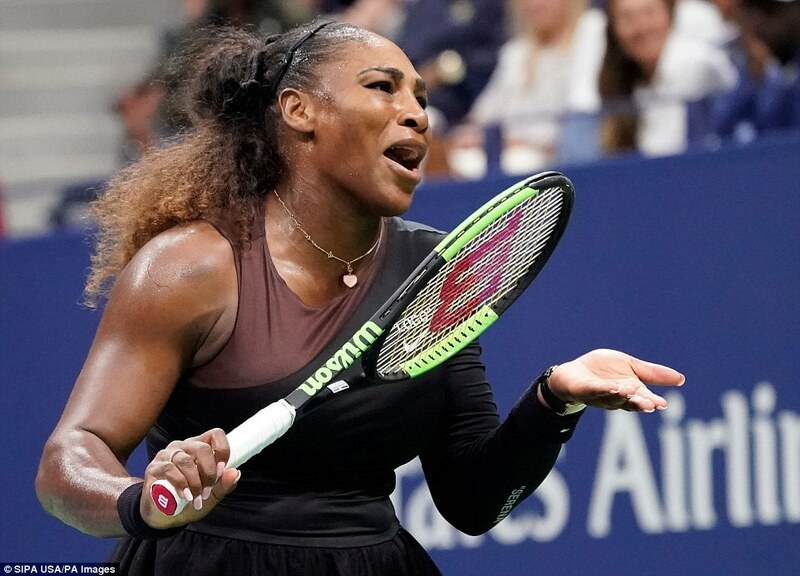 Serena Williams claimed she was the victim of sexism after her extraordinary meltdown and vicious tirade at umpire Carlos Ramos during her US Open final defeat by Naomi Osaka. 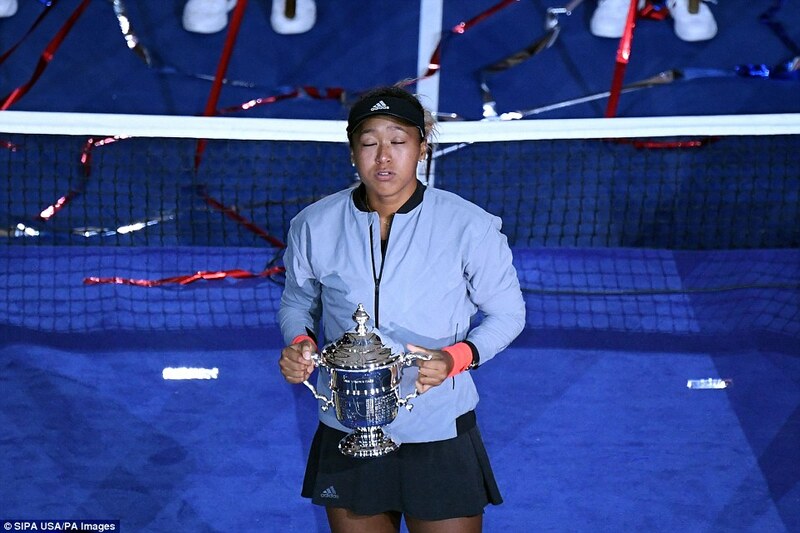 Osaka became the first ever Japanese Major singles champion after winning 6-2, 6-4 but the contest will be remembered for the total meltdown of her opponent, whose abuse of Ramos saw her – correctly – docked a game and flirt with disqualification. 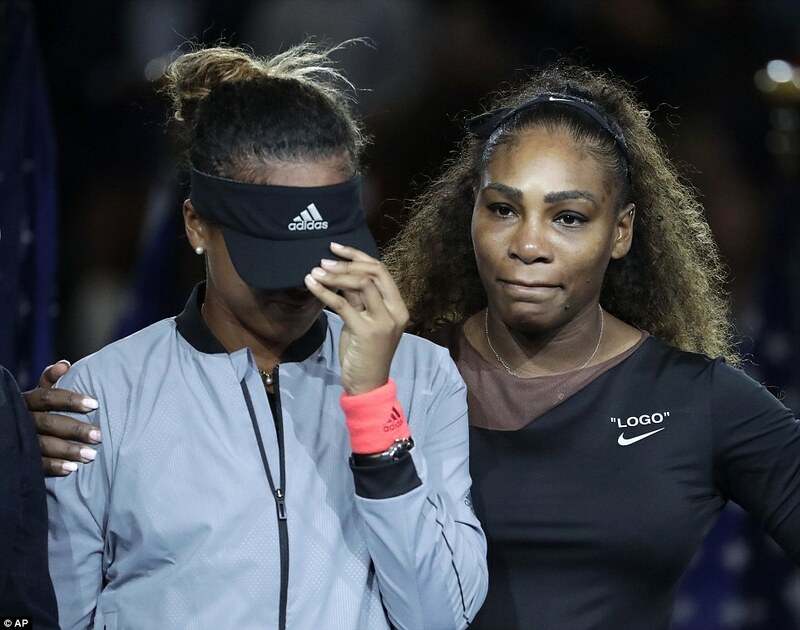 Williams was furious when she was given a coaching violation early in the second set after a hand gesture from her coach Patrick Mouratoglou, telling Ramos she would rather lose than cheat. Mouratoglou has since admitted he tried to send her a signal. 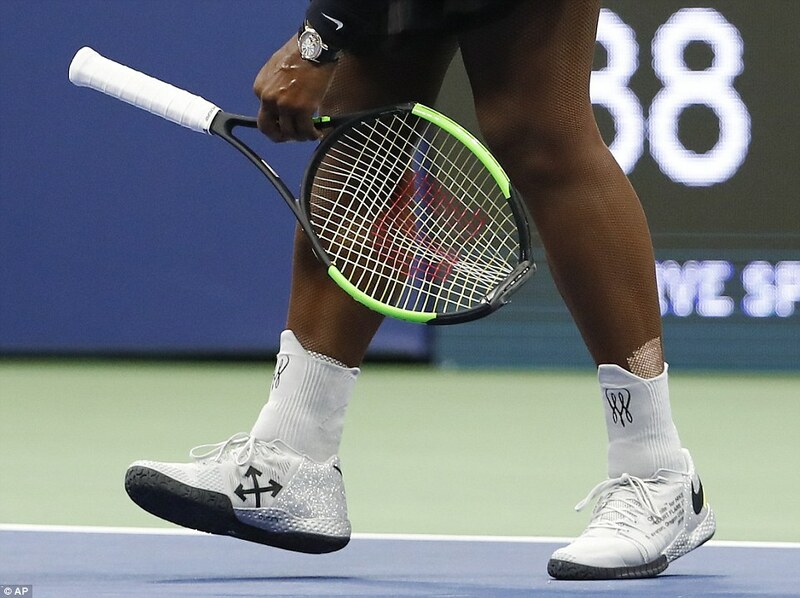 She was then docked a point for a second violation when she smashed her racket. Continuing her argument with Ramos at the next change of ends, Williams accused him of being a ‘thief’ for taking a point away from her. Ramos gave her a third violation, which resulted in a game penalty, putting Osaka 5-3 ahead. 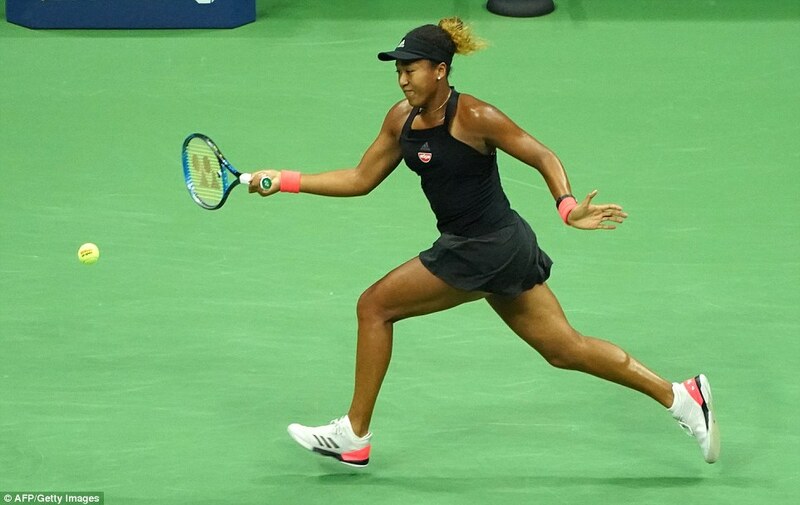 A tearful Williams argued her case with tournament officials but, although she held serve in the next game, Osaka served out the victory 6-2, 6-4. On Sunday, Williams was fined $17,000 (£13,000) for three code violations. Asked in her press conference what she would have done differently in hindsight, Williams became increasingly emotional as she said: ‘I can’t sit here and say I wouldn’t say he’s a thief, because I thought he took a game from me. ‘But I’ve seen other men call other umpires several things. I’m here fighting for women’s rights and for women’s equality and for all kinds of stuff. For me to say “thief” and for him to take a game, it made me feel like it was a sexist remark. He’s never taken a game from a man because they said “thief”. It blows my mind. 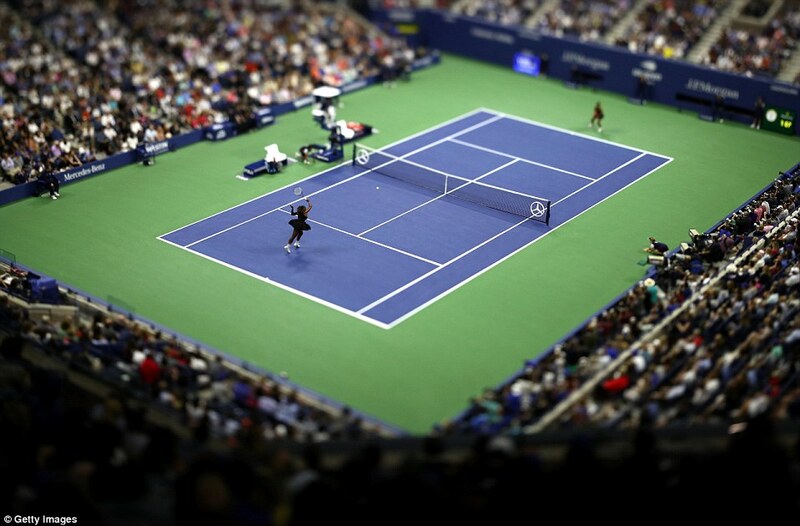 Tennis legend Billie Jean King, who won 12 Grand Slam singles titles, including four US Opens, was among those who jumped to back Williams as the row escalated. King said on Twitter: ‘Several things went very wrong during the Women’s Finals today. Victoria Azarenka, a two-time Australian open winner and former world No 1, was also supportive of Williams. She tweeted: ‘If it was men’s match, this wouldn’t happen like this. It just wouldn’t’. However, former world No 1 Margaret Court was heavily critical of Williams. As reported by The Australian, Court said: ‘It’s sad for the sport when a player tries to become bigger than the rules,’ Court said. 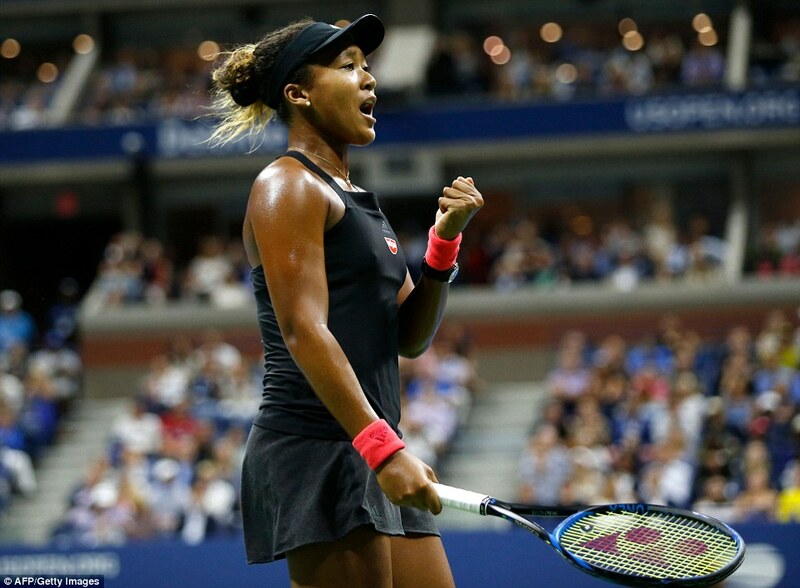 ‘Because the young player (Osaka) out played her in the first set, I think pressure got her more than anything’. Former British player and now BBC tennis commentator Andrew Castle believes that Williams’ actions were indefensible. Sue Barker, the former French Open champion who now hosts the BBC’s Wimbledon coverage, had sympathy for both Williams and umpire Ramos, but said that ultimately ‘tennis was the loser’. ‘As far as the rant goes, I think the umpire was following the rules by the book, and so that is harsh,’ said Barker on 5 Live. 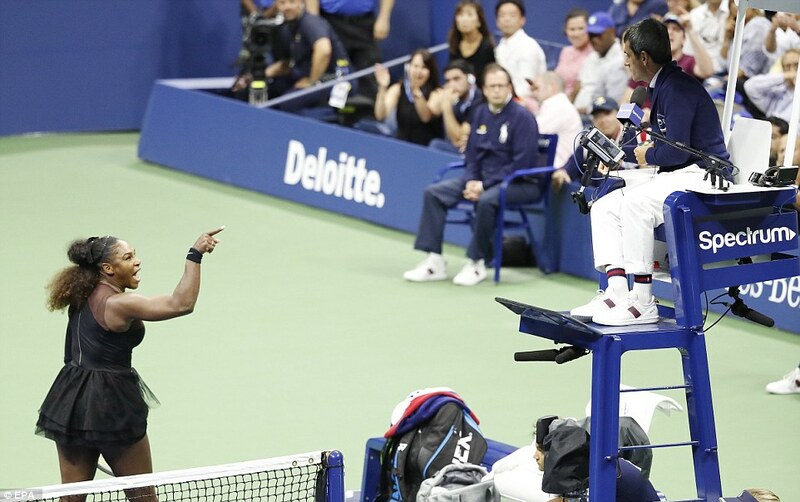 ‘But Serena in some ways has a point in the fact that I’ve sat courtside watching the men ranting at umpires and (they) haven’t been given a violation. Both have a point. ‘Serena is saying the male players can say what they like to an umpire. Also, earlier in the tournament we saw Alize Cornet being given a code violation for changing her shirt on-court. Then, in the same tournament, Mohamed Lahyani gets off the umpires’ chair to talk to Nick Kyrgios and persuade him not to give up on a match. ‘So I think they have to look at the rules of what is allowed and what isn’t, because I just think he was following the rules absolutely by the book, but sometimes the book has to be re-written – you can’t have one rule for some players, and some umpires don’t adhere to it and allow players to get away with things. ‘I think they just have to be fair to the players. Tennis was the loser. ‘I wouldn’t want to see it, but if it’s coming to things like this, it’s ruining the game – if they can’t adhere to the rules, then they’ll have to allow the coaching. 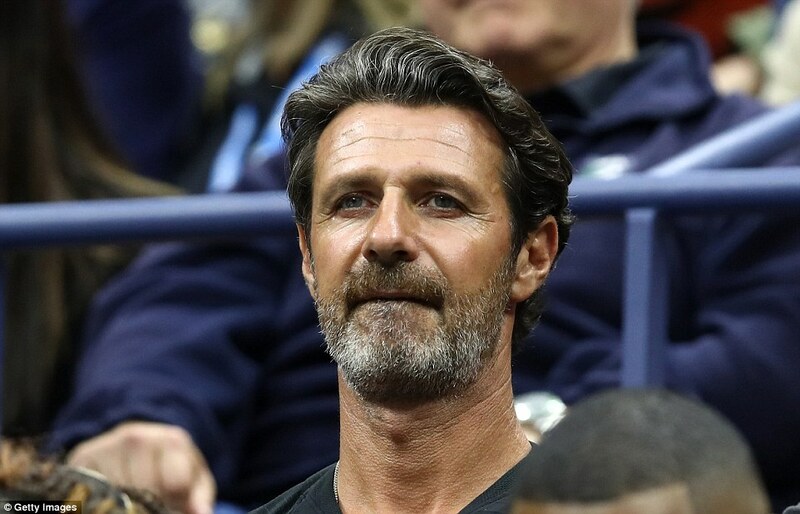 Meanwhile, Mouratoglou admitted to ESPN that he had sent Williams a signal during the match — but claimed every coach does it. The row has completely overshadowed Osaka’s maiden Grand Slam victory. 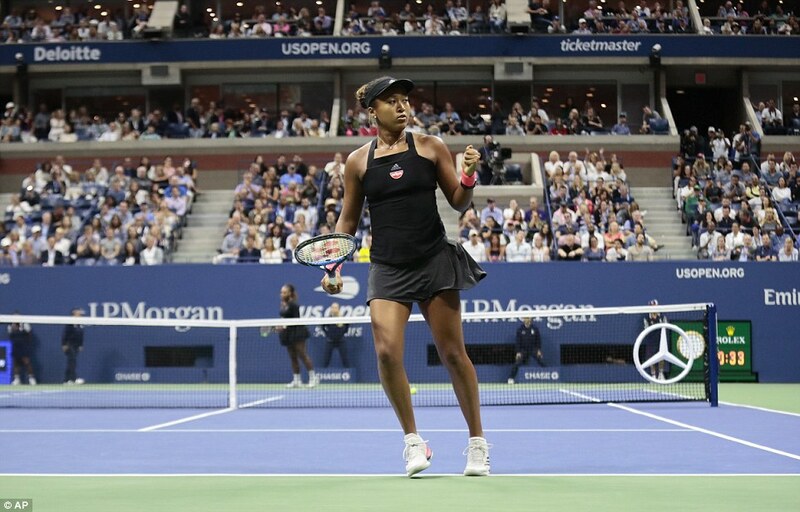 Through all the chaos, the 20-year-old kept her nerve, and served it out with remarkable sangfroid despite the mayhem in the Arthur Ashe Stadium. However, she was left in tears as her triumph was met with a chorus of boos, even if not directed at her. 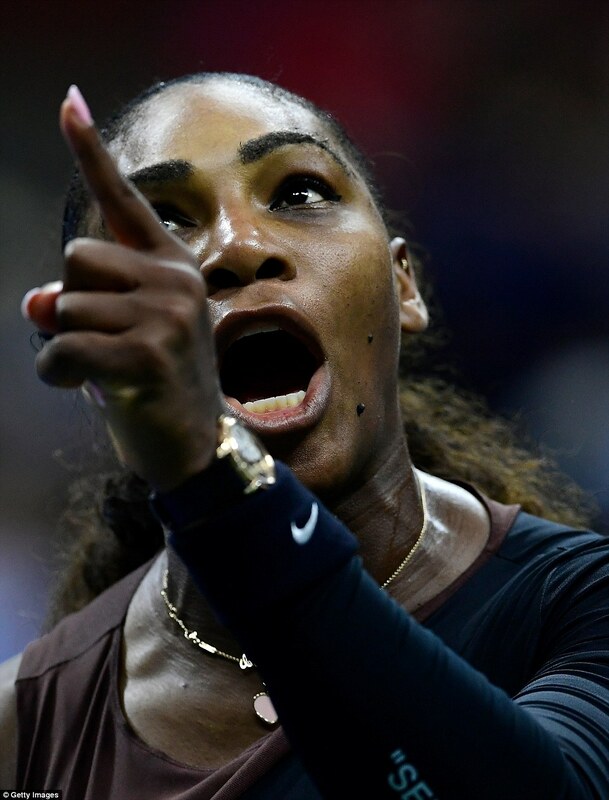 The whole incident had been reminiscent of Williams’s loss of control on the same arena when she threatened to ram a ball down a line judge’s throat in 2009. 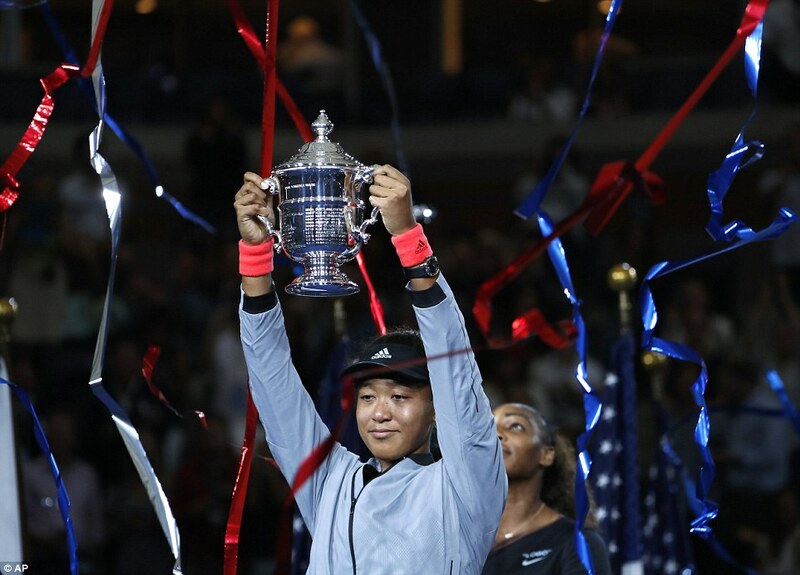 It detracted from a magnificent performance from the American-raised Japanese player, and made for an embarrassing trophy handover, at which Williams was described as a ‘role model’. Not in this particular case she wasn’t. The WTA says it will look into the dispute between Williams and Ramos, but the USTA says his decision to hit her with code violations is final and the actions were not reviewable. 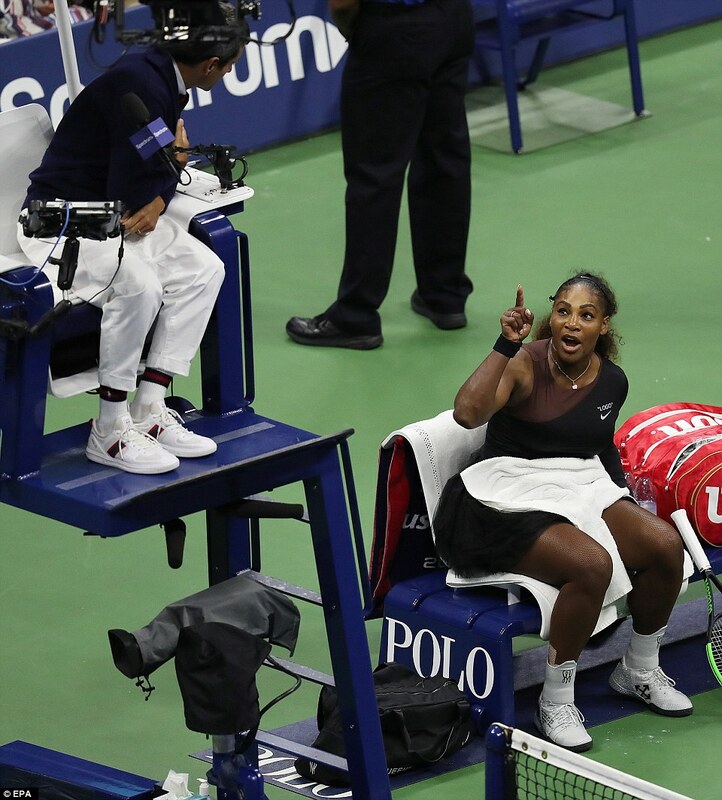 The Portuguese umpire, a highly experienced official, had little alternative, given the abuse that was being thrown his way from Williams, who also angrily pointed her finger at him. ‘I don’t cheat, I would rather lose,’ she had initially said, constantly demanding an apology and also remonstrating that she had a daughter as if that was relevant. The thief accusations started coming at 2-3 down in the second as she started riding the violation escalator in earnest. 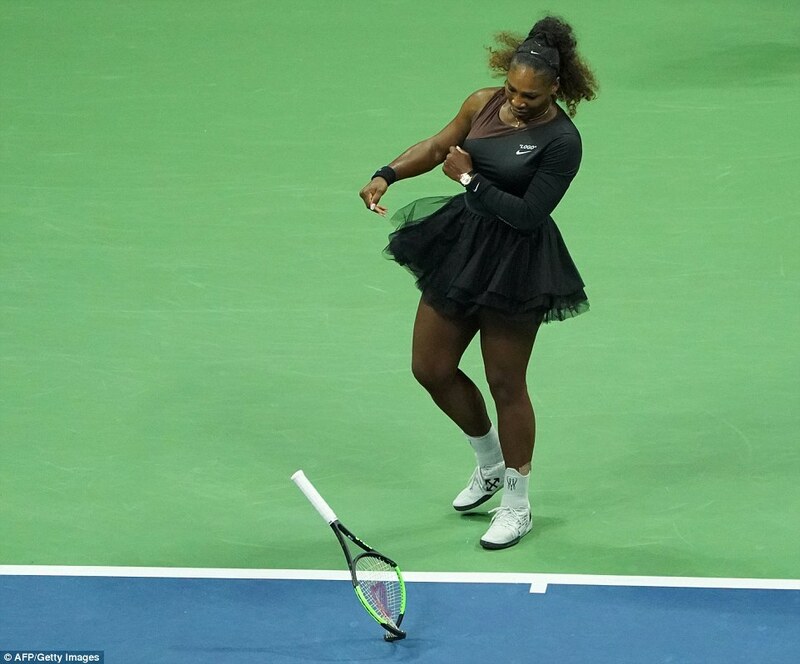 Boos rang out around the stadium – most seemingly in sympathy with her – as she brought gender into the argument, now remonstrating with tournament Referee Brian Earley, who she summoned to the court. ‘You’ll never sit on a court with me as long as you live!’ was another threat to the umpire, who was only following long-established procedures. Williams had herself broken for 3-1 in the second, firing herself up after Ramos spotted gesticulations from Mouratoglou. 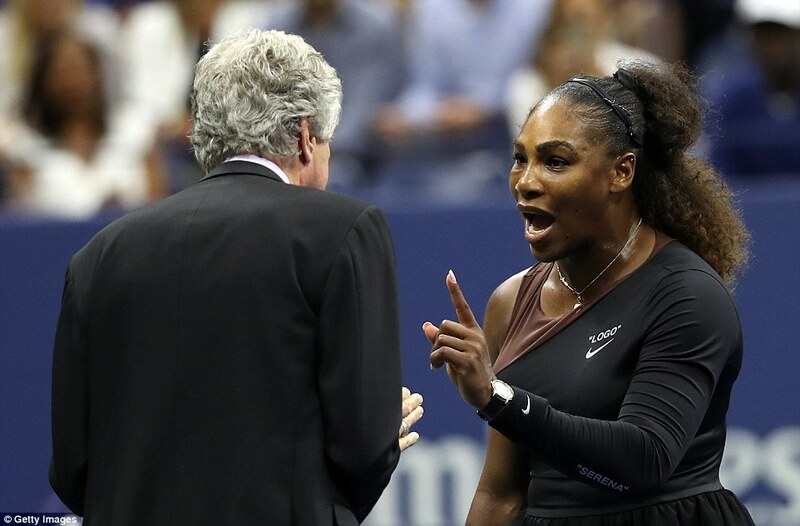 He later embarrassed himself by blaming the umpire for wanting to get too involved, while his player embarked on a rant about sexism in her post-match press conference, despite admitting Ramos has been a ‘great umpire’ in her previous matches. Yet as more sane and knowledgeable voices within the game concurred via social media, she did not really have a leg to stand on. 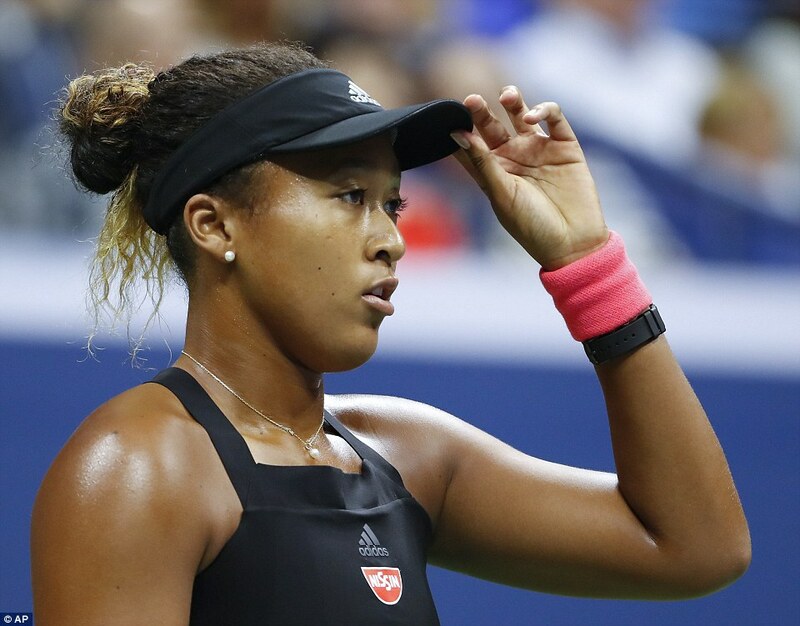 Amid an increasingly febrile atmosphere Osaka was momentarily rocked when broken for 3-1 in the second set but her composure was admirable throughout. 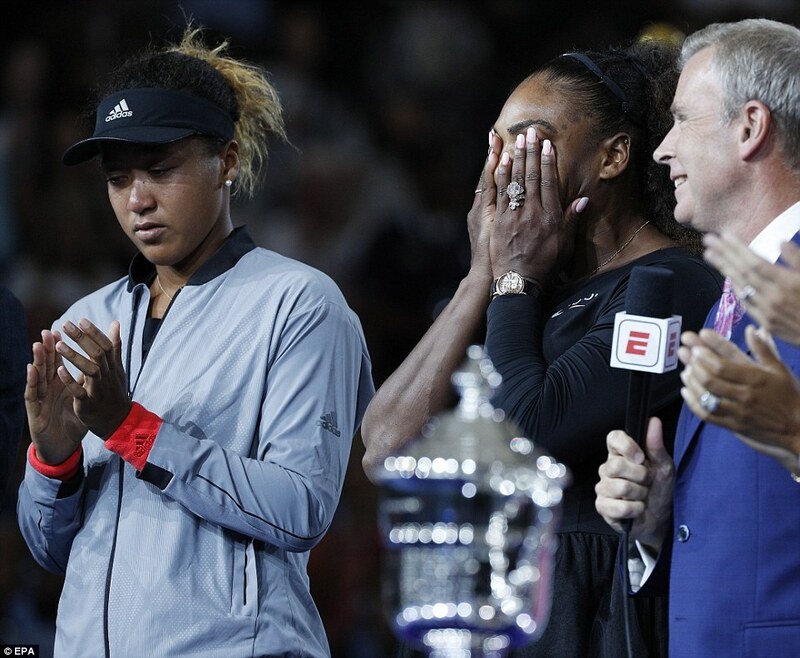 Williams’s behaviour is what the contest will be remembered for which is unfortunate for the world No 19, who was visibly upset on the podium after beating her childhood idol – even though she had just received a cheque for $3.8 million. She had been nerveless from the start, and bravely held her nerve in a totally alien situation. History ought to record that she was a completely worthy winner. ‘Are you kidding me? Are you kidding me? Because I said you were a thief? You stole a point from me. I’m not a cheater. I told you to apologise to me. Excuse me I need the referee, I don’t agree with that. ‘This is not right. INAUDIBLE. He said I was being coached but I was not being coached. That’s not right. You know me. You know my character. This is not fair. This has happened to me too many times. This is not fair. To lose a game for saying that is not fair. Do you know how many men do things that are much worse than that? This is not fair. ‘I get the rules but I’m just saying it’s not right. It happens to me at this tournament every single year and it’s not fair. That’s all I have to say. ‘But I’ve seen other men call other umpires several things. I’m here fighting for women’s rights and for women’s equality and for all kinds of stuff. For me to say ‘thief’ and for him to take a game, it made me feel like it was a sexist remark. He’s never taken a game from a man because they said ‘thief’. It blows my mind. 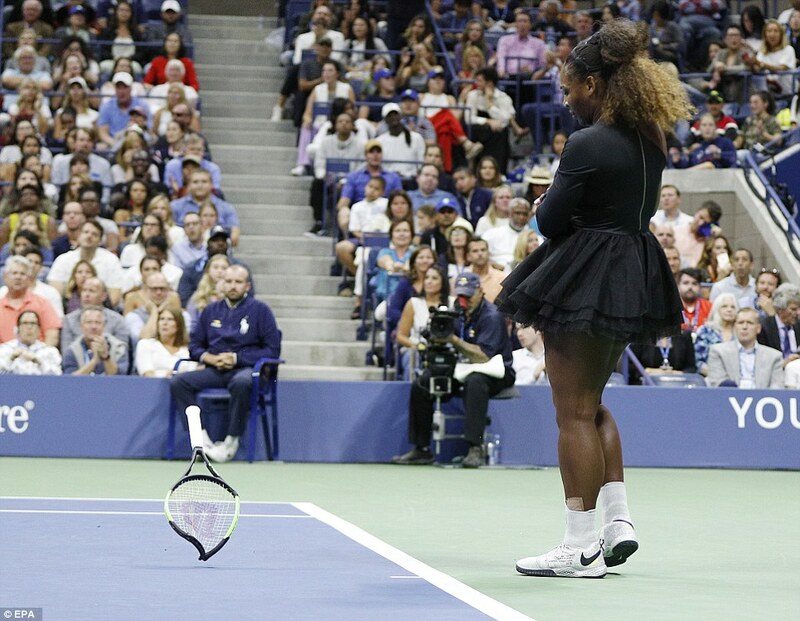 Serena Williams was handed a code violation when her coach Patrick Mouratoglou appeared to make a gesture to her, in what the umpire said was off-court coaching. Serena told the umpire ‘I don’t cheat’ before the game continued. A few games later Williams smashed a racket after losing a game to go 4-3 behind. This led to a second code violation and her opponent was given a point. 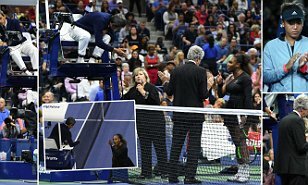 Williams then went on a bizarre rant, in which she called umpire Carlos Ramos ‘a thief’: ‘You are a liar. You will never be on a court of mine as long as you live. When are you going to give me my apology? Say you are sorry,’ she screamed. 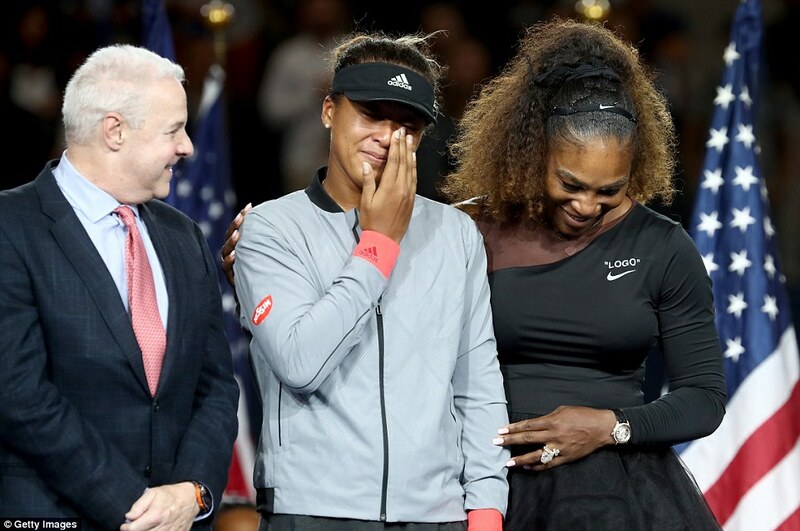 Williams called for the tournament referee as she cried on court. No further action was taken and the referee left the court. 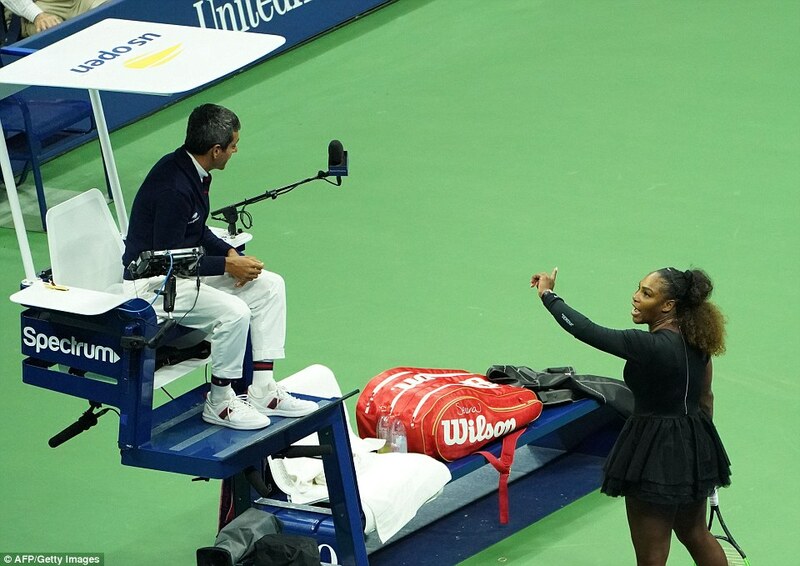 An on-court interviewer had to order the crowd to stop booing until Williams regained her composure. She then also called for the jeering to stop and congratulated her opponent.